PermaGreen Agitator. Photo provided by PermaGreen. 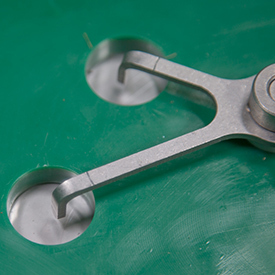 Upgrade your LESCO® and PermaGreen™ 3-hole spreader by installing the patent-pending PermaGreen Agitator, guaranteed to reduce clogging or your money back. The unique claw design sweeps the inside of the hopper openings, breaking up clods and maintaining and even flow in all types of weather. The PermaGreen Agitator is backed by a 90-day money-back guarantee. Call (800) 346-2001 x103 or e-mail sales@permagreen.com for more info.